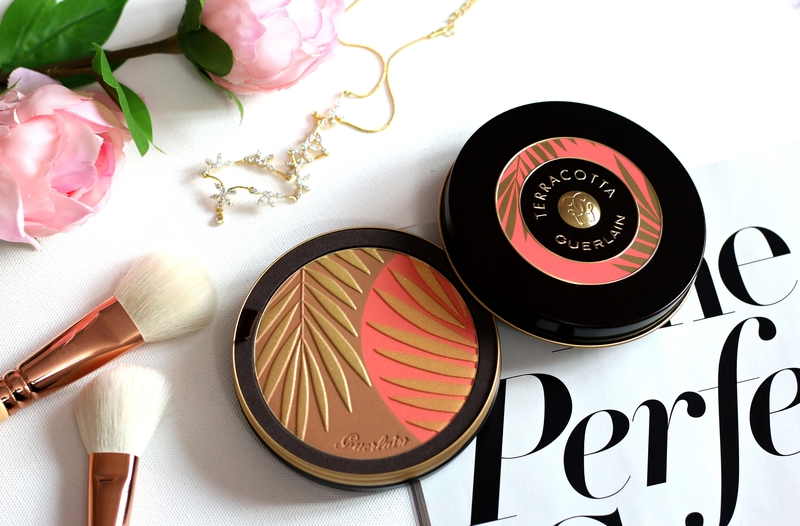 For Summers 2018, enjoy a sunlit break in the shade of the palm trees with the oversize limited-edition Terracotta Sous les Palmiers, which blends warmth and color to beautifully enhance a natural golden glow. 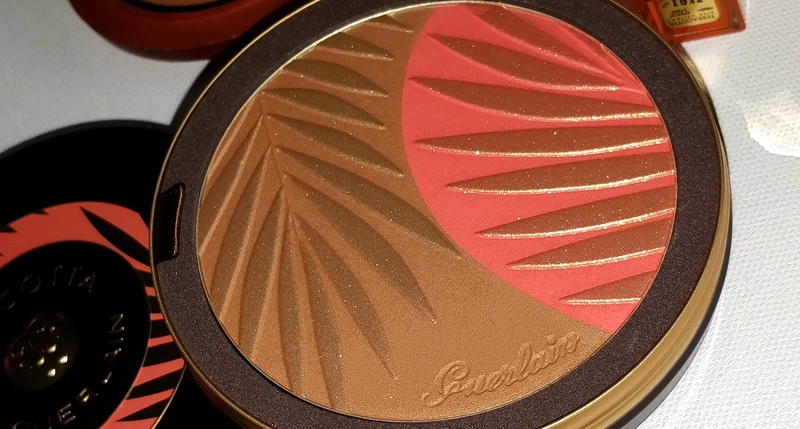 Guerlain Terracotta Sous Les Palmiers Bronzing and Blush Powder is a combination of the best-selling, subtly iridescent Terracotta 03 shade, which warms all complexions, and a coral shade to highlight that sun-kissed glow. 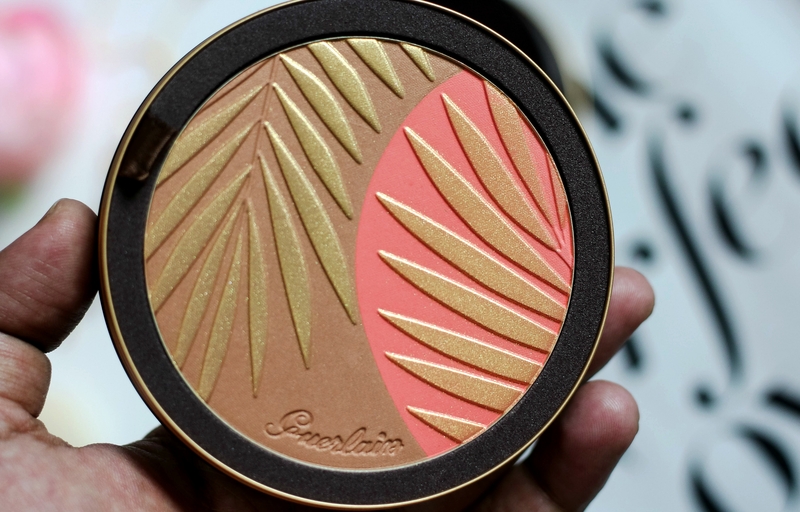 The colors can be used separately or blended together for a warmer complexion. 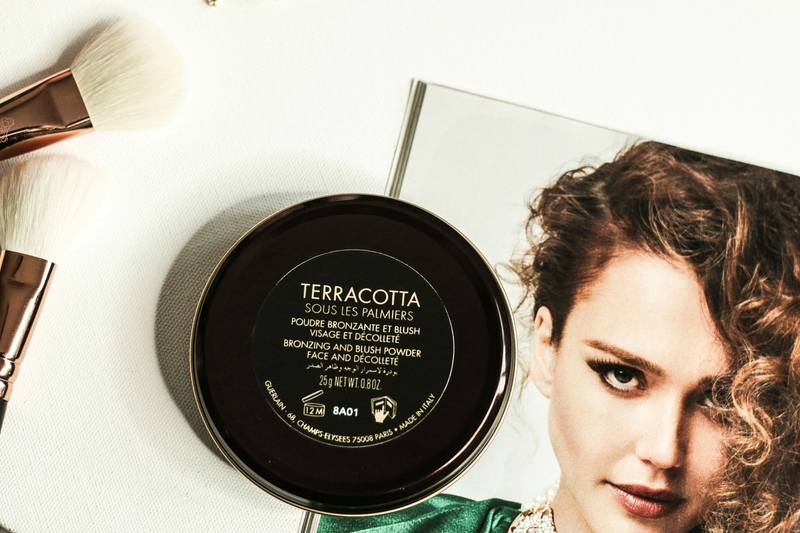 It creates a natural result on skin that stays true all day long. Retails for $65.00 for 19g of product. 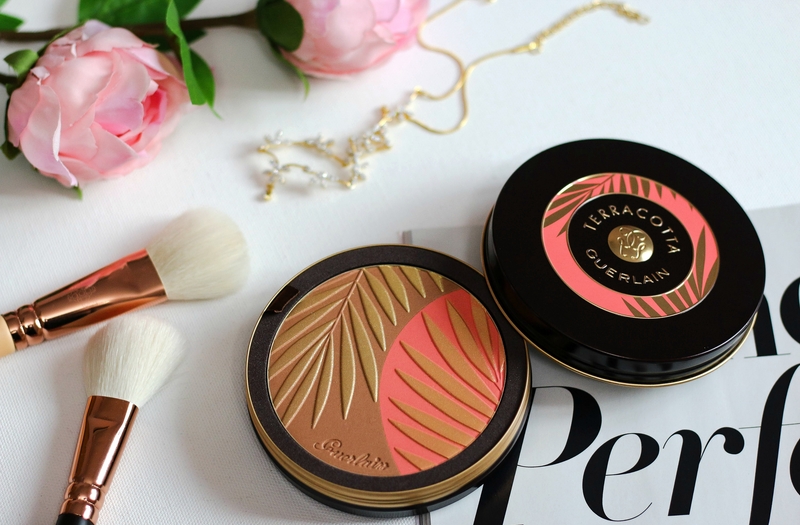 Guerlain Terracotta Sous Les Palmiers Bronzing and Blush Powder come in this beautiful collector’s jewel compact which is decorated with precious palm leaves and can be reused once the powder is finished. I love the signature Guerlain fragrance. 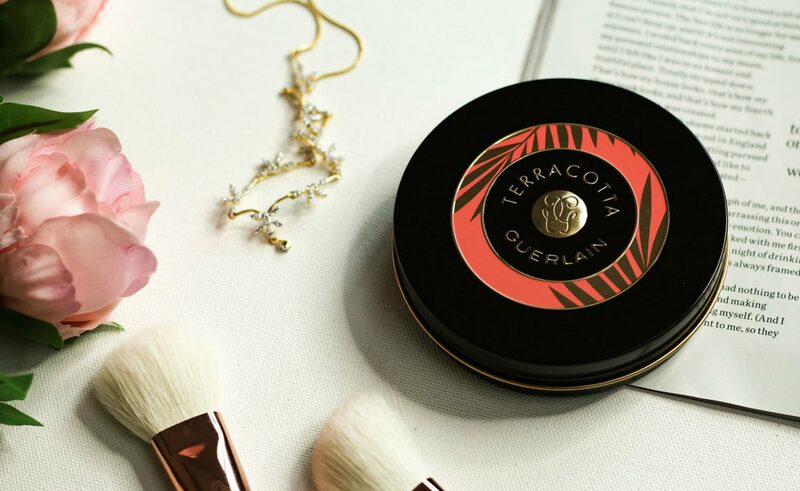 “The Terracotta Cultures Powder offers a unique fragrance, with a joyous and sparkling accord of bergamot and mandarin.” In the heart, the solar and feminine notes of gardenia, jasmine and ylang-ylang play with the lightness of honeysuckle In the background, vanilla, combined with woody notes, gives all the character and mystery of this mythical fragrance. Really soft and finely milled, the shades blend beautifully. The gold overspray that you see on the palm tree embossing goes away within first application. But, it’s ok. The shades blends beautifully and can easily be picked using brush. Beautiful colors that can be used separately or shades blended in a flash to even out a tan and warm the complexion. 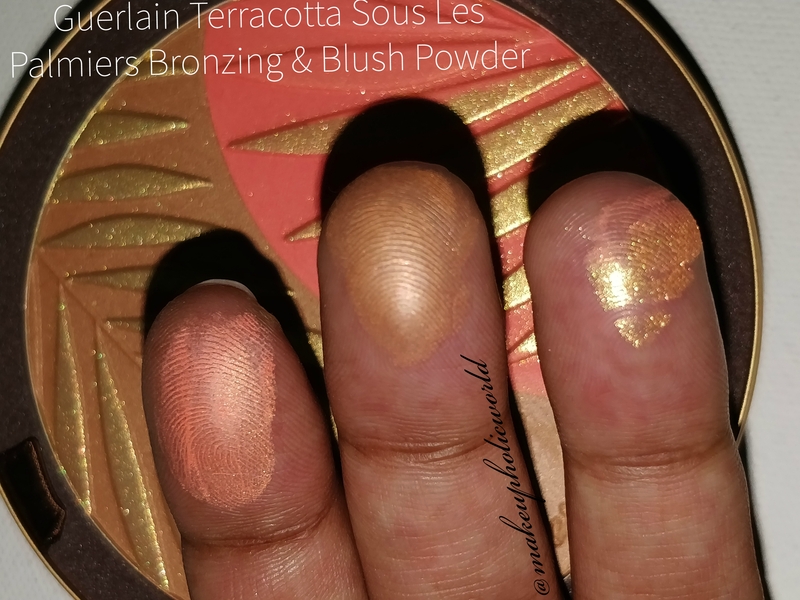 Guerlain Terracotta Sous Les Palmiers Bronzing And Blush Powder has a good staying power. It lasts the whole day without any dryness or touchups. Follow @makeupholicworld on Instagram for all beauty updates! 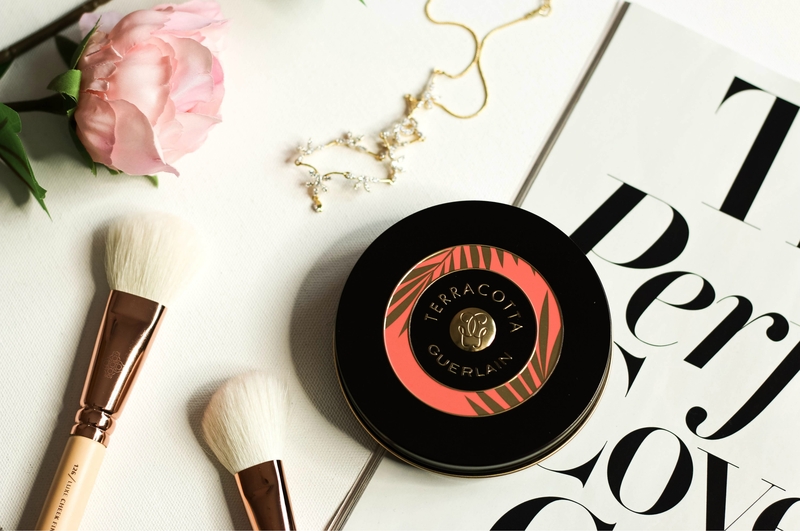 Overall, it’s a beautiful powder from the Guerlain Terracotta family. 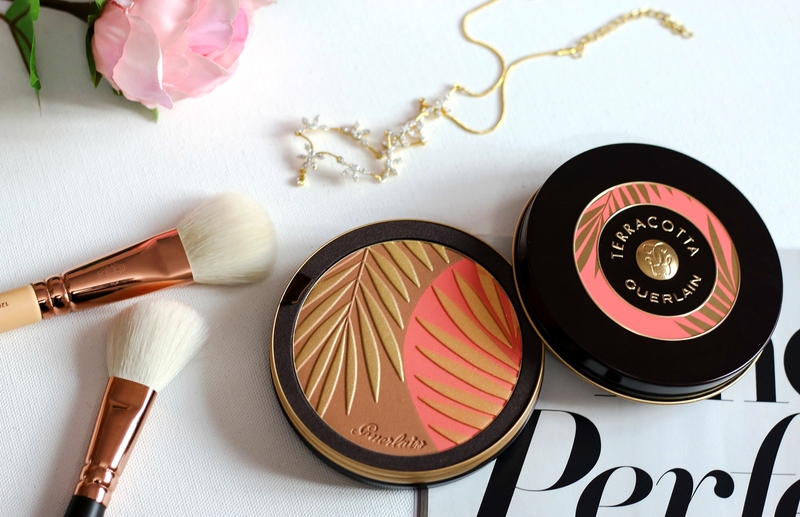 Housed in a oversized jewel compact and features subtly iridescent Terracotta 03 shade, which warms all complexions, and a coral shade, to highlight that sun-kissed glow. I really love this and I never felt the powder to be chalky or powdery. It blends beautifully and intensity/warmth can be build up based upon your preference. Also has the wonderful signature Guerlain fragrance to it. Also I love the beautiful case that can be reused as a jewelry box when the powder is finished.